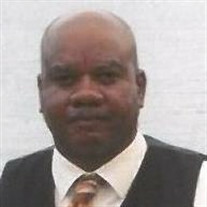 Mr. Bobby Cogdell 57, of 309 Ministgry Road, Fayetteville, North Carolina passed away on July 28, 2018 near 1421 Robeson Street, Fayetteville, North Carolina. The family of Mr.. Bobby Cogdell created this Life Tributes page to make it easy to share your memories. Send flowers to the Cogdell's family.